Last month’s announcement by the Minister for Transport, Infrastructure and Capital Pro­jects Ian Borg, on the permanent connection between Gozo and Malta, has again caused discussions to flare up on what the future holds for Gozo. A dream that has been longed-for by many – and promised by several governments for decades – is now being realised by the present administration. Minister Borg announced that in the first half of 2019, the international call for tenders for the construction, running and maintenance of the 14-kilometre tunnel will be published – a milestone for the current government in fulfilling a major pledge of its electoral manifesto. It is an uncontested reality that there is an growing trend of Gozitans choosing to switch their permanent residence to Malta. This is due to the bitter fact that under the current logistical limitations, a Gozo resident can never enjoy the same level of opportunities as a Maltese peer. The National Statistics Office quotes a figure of about 30,000 people permanently residing in Gozo. However, it is widely known that half of that population is made up of Maltese who do not really reside in Gozo and of Gozitans who live, work or study in Malta and therefore spend a considerable amount of time in Malta. According to certain views, a permanent link would take away Gozo’s charac­ter and exterminate the natural and cultural heritage that it possesses. It is also insinuated that this could well spell the destruction of the Gozitan identity and the projection of all that is Maltese into Gozo. With all this in mind, one question becomes evident and pertinent: what identity would remain if we continued to see an increase in the rate of Gozitans crossing the channel for good? The Gozi­tan identity remains solid so long as the island carries good prospects for our future generations. 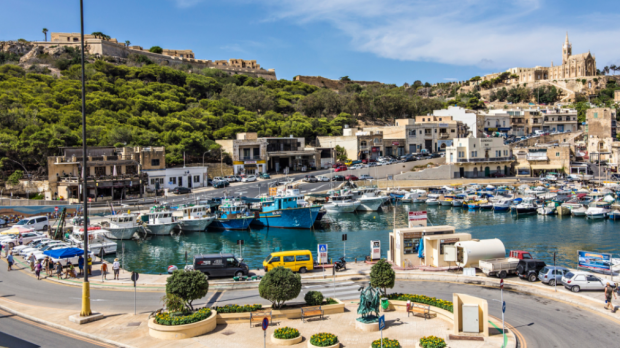 A population of roughly 15,000 cannot sustain investments nor promote entrepreneurship in Gozo undertaken by Gozi­tans themselves. Businesses struggle in the midst of weak days of tourism, although these are becoming less common. However, Gozo cannot sustainably depend only on tourism for its existence. It is a crucial point of discussion that as it stands, the island of Gozo is facing numerous long-lasting challenges. These revolve around brain drain and skills drain, an ageing population and a low-productivity population. All these would require a great deal of government investment to sustain effectively. It is true that the Gozo Channel Company has over the past years drastically improved its service and profits through the sound decisions that have been taken. The service has become more reliable although it can still be unpredictable. Gozitan residents want more control over their life decisions and opportunities. The establishment of a permanent link would ultimately mean that Gozitans feel more optimistic about being able to exploit any opportunity, just as Maltese citizens do. The Labour government has done its best to ensure an upward economic incline in Gozo. It is projecting that this project will resurrect the social and economic spheres of the island. The realisation of a permanent link would allow Gozitans who live permanently in Malta to relocate back to Gozo – a dream come true for such individuals or families. This relocation would, in turn, lead to a growth in the Gozitan population, on which businesses and investments would then flourish rather than die. It would essentially bring about new opportunities for Gozitan youth who would look towards Gozo as holding out bright prospects for their future. The Gozitan identity can be saved if we topple the current trend of ‘emigration’. This identity does not just include that which looks like Gozo but more importantly the social and cultural traits of a Gozitan, which cannot be saved if Gozitans are leaving Gozo. The notion of over-development is not intrinsically linked to this infrastructural project. Over-development is controlled by planning polices and not governed by capital projects. This is no hara-kiri, but rather the re­surrection of Gozo’s social and cultural identity and its unstable economy. Clint Camilleri is Parliamentary Secretary for Agriculture, Fisheries and Animal Rights.